Kat and Emily have grown up without their mother for almost as long as they can remember. And now Dad is with Cassy and they all muddle along together well enough – even though they are living in a cramped caravan while their new house is being renovated. Then Cassy and Dad tell them that Cassy is pregnant, and everything seems to shift. Emily feels a new urge to find her own mother. How could she have left them the way she did? Never writing to them? Not communicating with them? And as Emily begins her search, not knowing what she will find, she is at the same time embarking on a new relationship of her own, that of her romance with Seb. 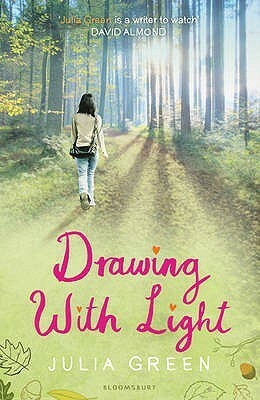 Drawing With Light is on our UKYA Top 100 list. Categories: Romance, Social/Family | Tags: Julia Green | Permalink.